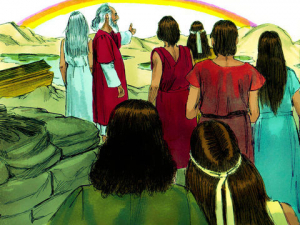 Read Together: As God delivered Israel from Egypt, they witnessed miracle after miracle! 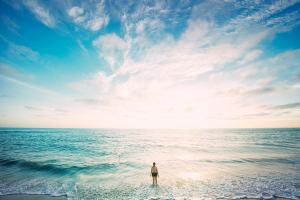 The children of Israel walked through the Red Sea on dry land with walls of water on both sides. They watched the Egyptian army get swallowed up by the Red Sea as God allowed the water to crash down on them. But they still complained to God! When they had no water, they complained. When they had no food, they complained again. It’s understandable that they were hungry and thirsty, but instead of asking God for help, they accused Him of bringing them out into the wilderness to die. Again and again, they said “Let’s go back to Egypt”. When Moses went up to the top of Mt. 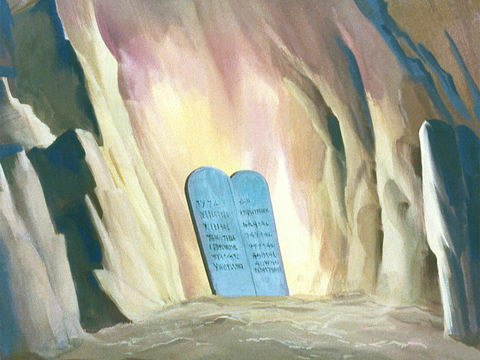 Sinai to receive the Ten Commandments from God, the Israelites made a golden calf to worship. They bowed down to it and called it their god, even though they had just promised to obey the real God who had brought them out of slavery! When Moses sent the spies to scout the land of Canaan, they came back with a bad report even though the land was full of delicious fruit. 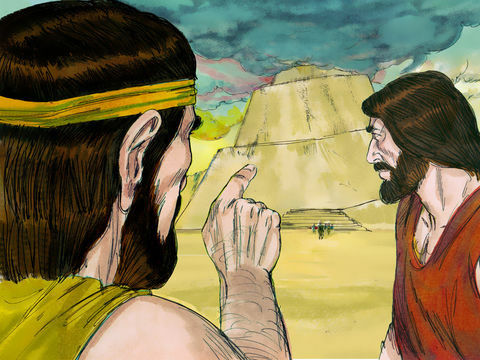 All the spies, except Joshua and Caleb, said they should not enter the promised land because they saw the giants who lived there. 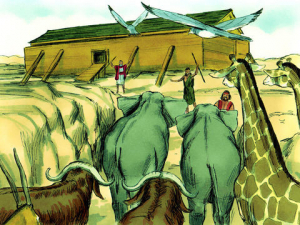 They had no faith that God would deliver them, so the people refused to go in and inherit the land God had promised. For this, and for all their constant complaining and faithlessness, God sentenced them to wander in the wilderness for forty years. This was one year for each day the spies were in Canaan, until everyone of that generation had died. Point out to your child that three days after Israel came through the Red Sea they were complaining about water. Israel had forgotten God’s power very quickly. Discuss why this would happen. Have a discussion with your child about faith. The Israelites knew God was real, but they lacked faith. Israel proved that witnessing miracles does not guarantee faith. Include James 2:18 in the discussion. 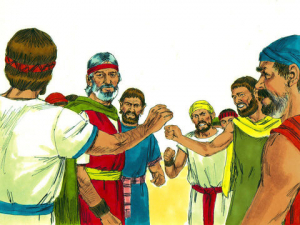 Talk with your son or daughter about the Israelites’ tendency to complain. 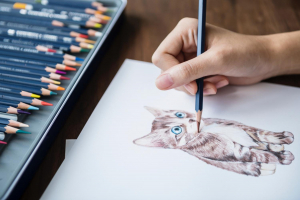 Do we have the same characteristic? How does God feel about complaining? What is the antidote for complaining? Read Together: Israel was so afraid when they heard God speak the Ten Commandments that they asked for Moses to relay God’s words to them. God agreed. 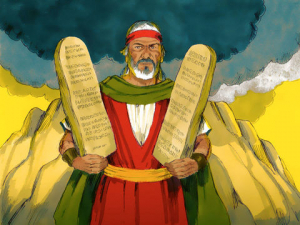 In addition to the Ten Commandments, God gave Moses “statutes.” Statutes are laws that apply to more specific situations. They help us understand how to apply the Ten Commandments in everyday life. God’s laws and statutes were designed to provide Israel a fair and just legal system that would protect people and property. When Jesus came to earth, He supported the laws of God, including the statutes, and taught His disciples about how to keep them in our heart and mind. Read Together: Deuteronomy 4:1–10; Exodus 22:5, 14, 28; Exodus 23:1–17; Leviticus 23:1–3; Deuteronomy 4:1–10; 22:8. Explain to your student that the statutes are finer points to God’s Ten Commandments. 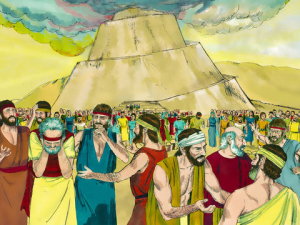 For example, the Ten Commandments command us to keep the Sabbath, but the statutes explain there are “annual” Sabbaths as well (Leviticus 23:1–3). Read, with your child, Exodus 22:28. Ask your child if he or she ever hears people “cursing” or making fun of leaders today. How would this statute guide a child to behave toward his or her parent or teacher? 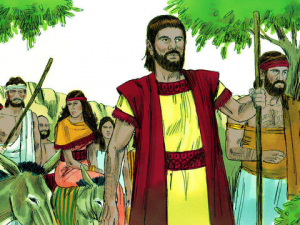 Ask your child what the following statute means: “You shall not follow a crowd to do evil” (Exodus 23:2). Can he or she think of a time when they’ve had to resist following others to do something they knew was wrong? Ask your child what the statute in Deuteronomy 22:5 means. Ask if they can see how that could apply in our world today (when some are confused about gender). Ask your child why God would make the statute in Deuteronomy 22:8. Would it not protect people from accidents? Read Together: The children of Israel had been busy preparing to come before God for three days. As God approached the mountain, there were thunder and lightning strikes; the mountain quaked and the ground where they stood shook. There was an awesome display of God’s power as He descended to the mountain! Even Moses, who had been in God’s presence before, was so afraid that he too trembled! The top of the mountain looked to be on fire as God thundered the Ten Commandments from its midst. The display was to show the Israelites how mighty and powerful God is, so that they would remember and obey Him. Sadly, the Israelites were so overwhelmed by the power of God that they pleaded with Moses to ask Him not to speak to them directly anymore, because they feared they would die. 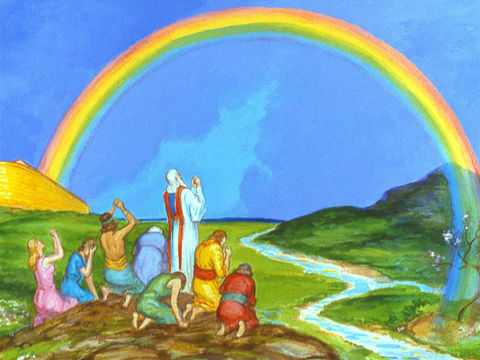 God asked the Israelites to keep the Ten Commandments so He could bless them, and they agreed. Explain that the Ten Commandments are still in effect today (Matthew 5:17–18). Why is the Sabbath Commandment important? Explain that the Ten Commandments were given by God for our good; they are not a burden (1 John 5:3). Discuss the beneficial effects of the Ten Commandments. What would the world be like if no one told lies, or if no one took what didn’t belong to him or her? How would the world be transformed if everyone put God first and loved Him? Discuss the relationship between obedience to the Ten Commandments and the peace humanity desires. Help your child understand that it is breaking God’s laws that leads to the unhappiness mankind experiences. Use an example like stealing or lying to demonstrate this.